CDC provides flood and fire restoration from the incident to the full restoration to Standard Unit. Our team understands that in the condominium environment, fire and water damage goes beyond one unit to other units and common areas, and herein lies our advantage; our expertise in common element refurbishment give us the background and skill to restore these areas. We work with both the condo corporation’s insurance provider and the home owner’s insurance from the moment an incident takes place, through to the full restoration and moving back in. Lastly, we can offer temporary housing through our insurance housing partners to greatly minimize disruption for all parties. Smoke and fire damage is the most devastating disaster that can happen to your property. After the fire has been extinguished there are many ways that damage can spread if proper, immediate action isn’t taken. Soot may settle into fabrics, travel into other rooms and units, affecting paint, carpet, upholstery, and any other items in the household. Ash remaining from the fire is acidic in nature and will continue to corrode until it is properly cleaned up. Additionally, if water was used to extinguish the fire you now have the complication of potential water damage as well to other units. Extra care and treatment is vital to restore the property so that it can be returned to Standard Unit condition. Emergency pre-cleaning of all contaminated surfaces. Cleaning of all items in household including carpeting(removal as necessary),draperies, furniture, etc. Deodorization and sanitizing of entire unit. Clean up of equipment and return unit to Standard Unit condition. In common areas, we will return the area to its previous condition. Like smoke and fire damage, flood damage requires a professional team like CDC to properly assess and remove all affected items. The longer the water sits the more damage it does. The flood mitigation crew at CDC acts swiftly and efficiently to remove water and dry out all water damaged areas. Moist fabrics,cabinets, dry walls and carpet are a breeding ground for mould and fungus that can lead to serious health concerns if left untreated. 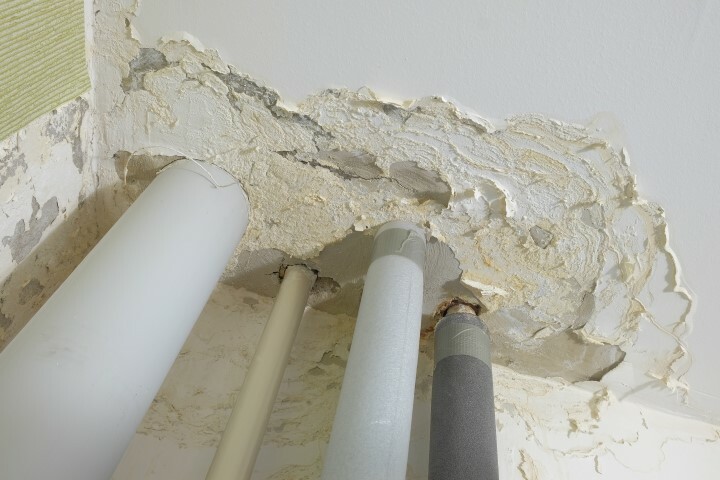 In a condo environment this is an even greater cause for concern since moisture can also seep into the concrete below,through carpet/laminate floor leading to a potential structural issue for the building. Speed is essential. Remove all standing water with water extractor and dry all surfaces. Removal of all carpets & laminates and complete drying of underlying floor and walls. Fans are installed to dry Furniture, draperies, computers, appliances and other electronic equipment. Decontamination of unit to remove all sources of mould causing agents. New drywall, tile,flooring, cabinets, countertops, paints etc. will be installed as necessary, to return to Standard Unit condition. Sanitize Removal of all corrosive or mould-harbouring items in the unit and treatment of mould or corrosion. 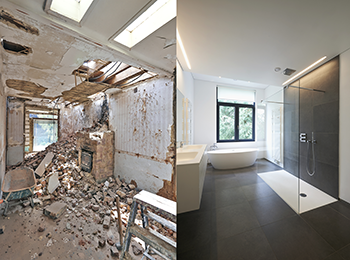 Restoration Returning all walls, floors and any salvageable items to their pre-damage condition wherever possible. Canadian Design & Construction Inc. offers a limited 3 year warranty on the workmanship involved in the restoration of the unit and common areas. A full, detailed certificate of Warranty will be provided. Let‘s talk about Disaster Management & Restoration.